When you need fire and the happy birthday song - get them a candle that can do both! 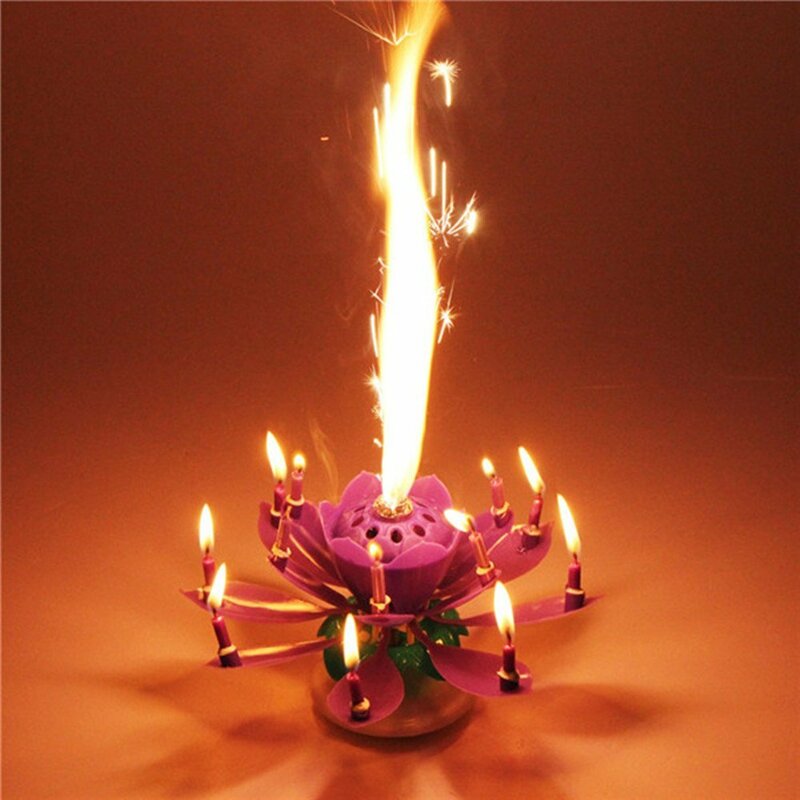 This Lotus Candle blossoms into a twirling candle that holds multiple tiny candles while singing Happy Birthday. Pretty alarming but nonetheless charming, your giftee will be pleasantly surprised by the over-the-top presentation. DISCLAIMER: Be aware, this thing sparks a little when first lit, but we can guarantee the smoke alarm won’t go off (lol, we’ve tried it). Just take a step back after lighting, it’s worth it.